Ahead of the 2019 general elections in April-May, Prime Minister Narendra Modi urged celebrities including Salman Khan, Akshay Kumar and Ranveer Singh apart from Congress President Rahul Gandhi to encourage maximum voter engagement in a series of tweets on Wednesday. His first tweet was an appeal to Rahul Gandhi, West Bengal Chief Minister Mamata Banerjee, Sharad Pawar, and politicians including Mayawati and Akhilesh Yadav. 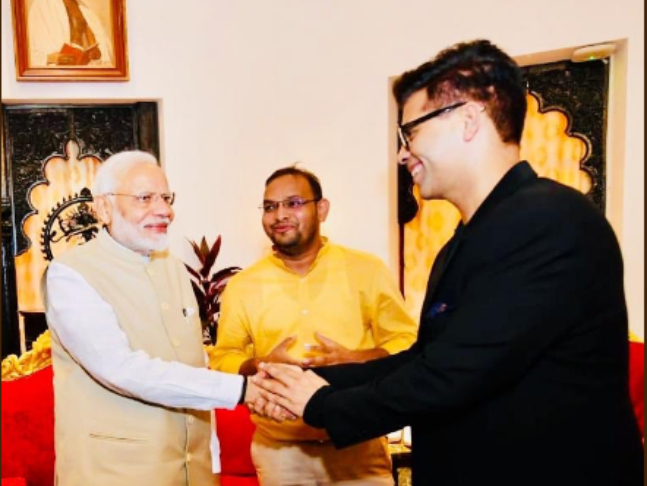 PM Modi also tweeted to Deepika Paduone, Alia Bhatt, Anushka Sharma, Lata Mangeshkar, Akshay Kumar, Bhumi Pednekar, Ayushmann Khurrana, Amitabh Bachchan, Salman Khan, Aamir Khan, Shah Rukh Khan and Karan Johar. Apart from tweeting to celebrities, PM Modi also urged sportspersons Virat Kohli, P.V. Sindhu and Saina Nehwal, and business leaders Ratan Tata, Anand Mahindra to encourage more voting in polls.